Sign up to receive regular email updates on the Dirt Bike Show. Dirt Bike Show had a good feel, with good quality customers to speak to. Interest in the Honda stand was excellent and it was the right platform to launch a new bike! AMCA Events Ltd exhibit at the Dirt Bike Show as it is provides us with an excellent opportunity to meet up with our club officials, members and sponsors. We have found there is no better way for us to meet this many members over the course of four days than at this one off annual industry event. The show team at Mortons always provide us with good service and sort us out with a stand in a position that serves our needs. Visitor numbers are always high and provide a steady flow of customers to our stand. 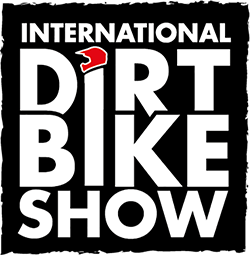 If your business is off road you need to exhibit at the International Dirt Bike Show! May I send our thanks on behalf of Ifor Williams to yourself and the team for a fabulous International Dirt Bike Show. For this being our first year we had some fantastic response and leads that need sorting out. The show was so busy for us we had to organise more brochures to come down for the weekend.